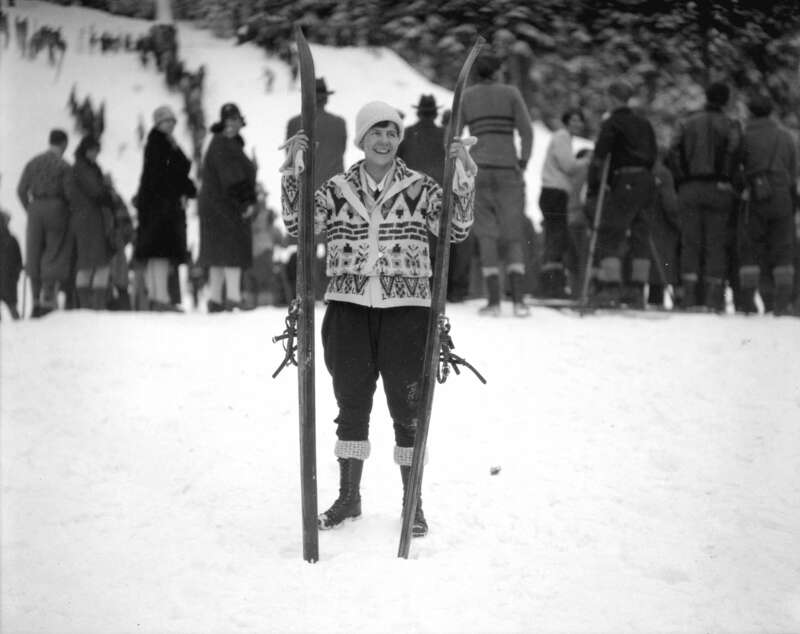 For decades the North Shore mountains have been a playground for locals and visitors, especially during ski season. Grouse Mountain had one of the first double chairlifts in the world when it was constructed in 1949, Mount Seymour has been enjoyed since 1938, and Mount Strachan & Black Mountain make up the popular Cypress Mountain Ski Area that was in the spotlight during the Vancouver 2010 Winter Olympics. 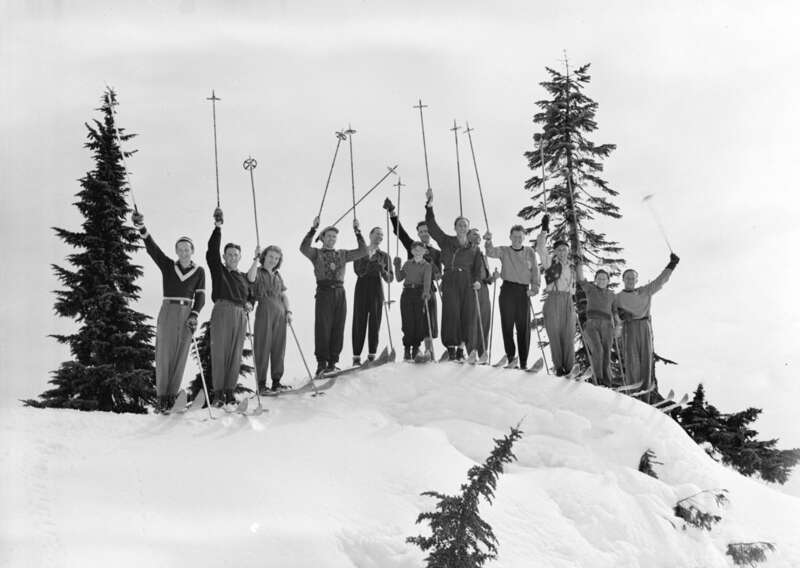 Thanks to the City of Vancouver Archives, we can catch glimpses of what skiing (and ski equipment) on the North Shore has looked like over the years. 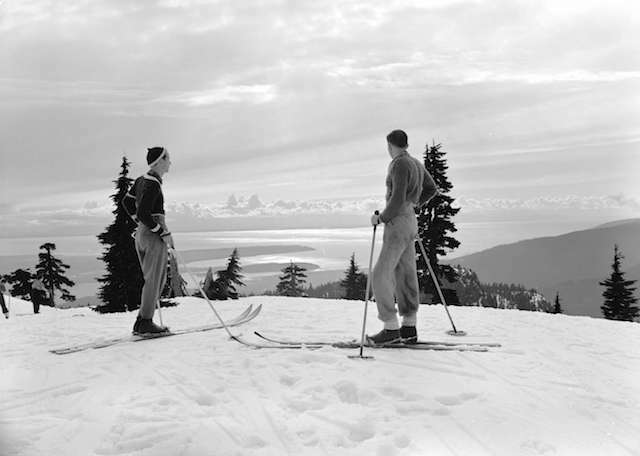 1940: View from Mt. Seymour. Archives# CVA 586-123. 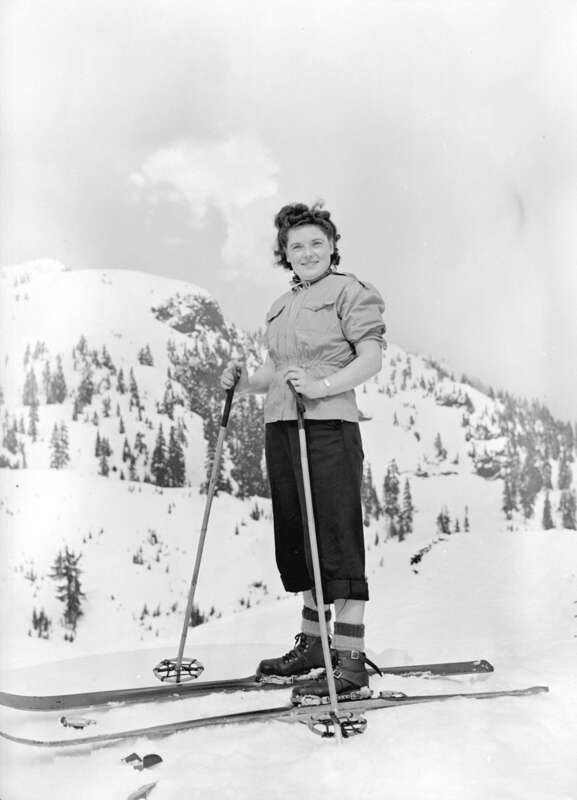 Steffens-Colmer Studios Ltd.
1940: Skiing on Mt. Seymour. Archives #CVA 586-116 & CVA 586-119 & CVA 586-114. 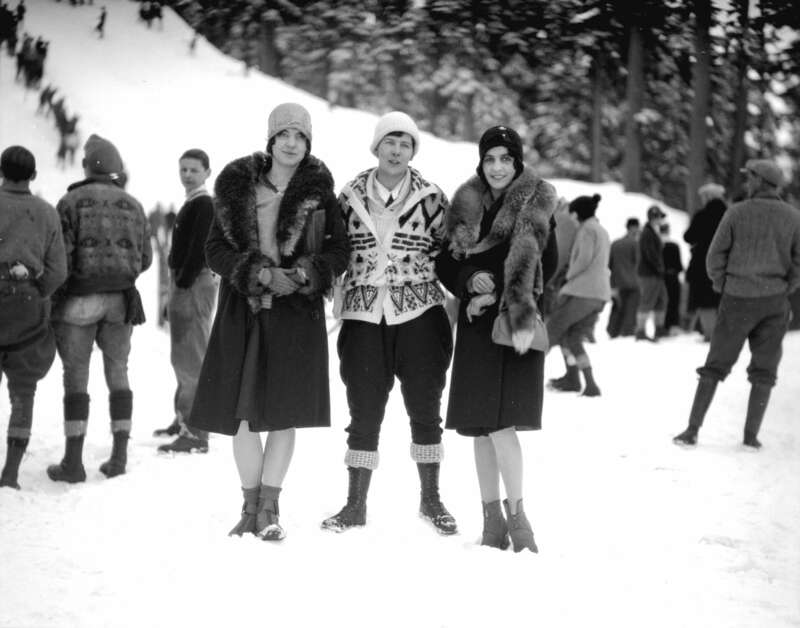 1929: Grouse Mountain. Archives# CVA 99-2002 & CVA 99-2000. Stuart Thomson Photos. 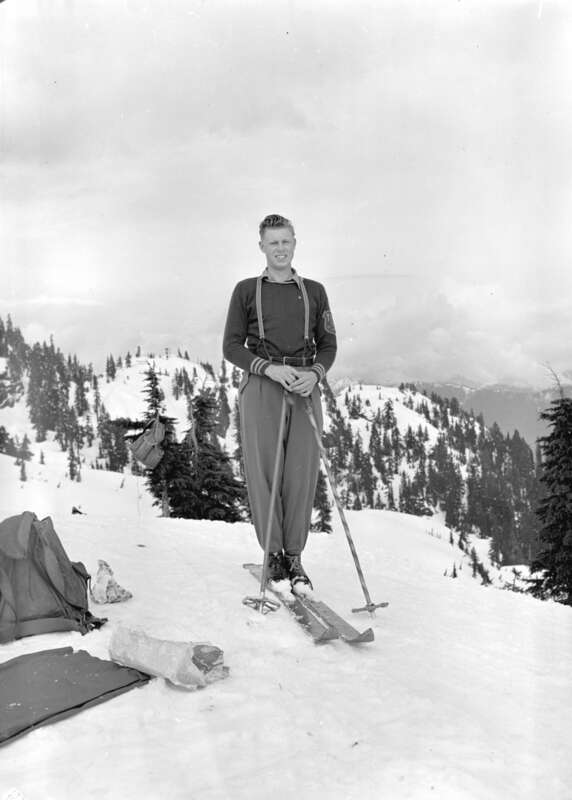 1940: Mt. Seymour. Archives# CVA 586-122. 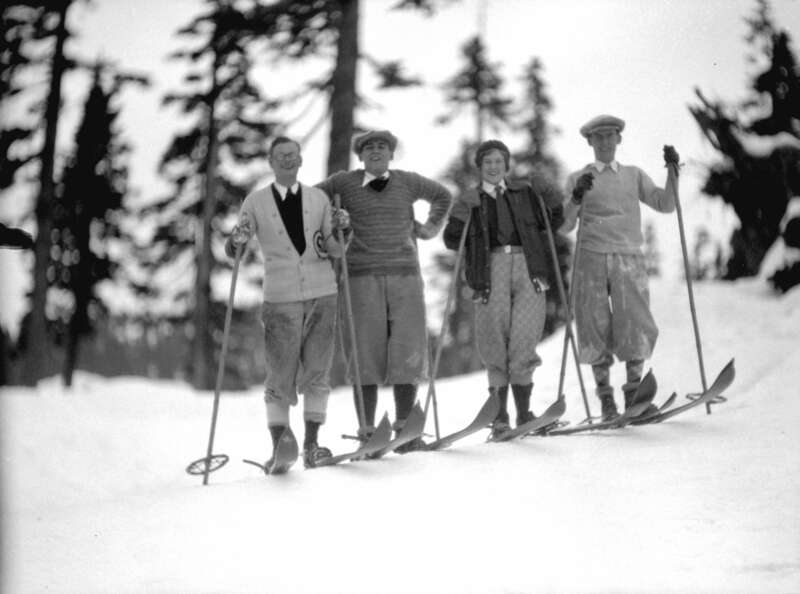 1929: Grouse Mountain. 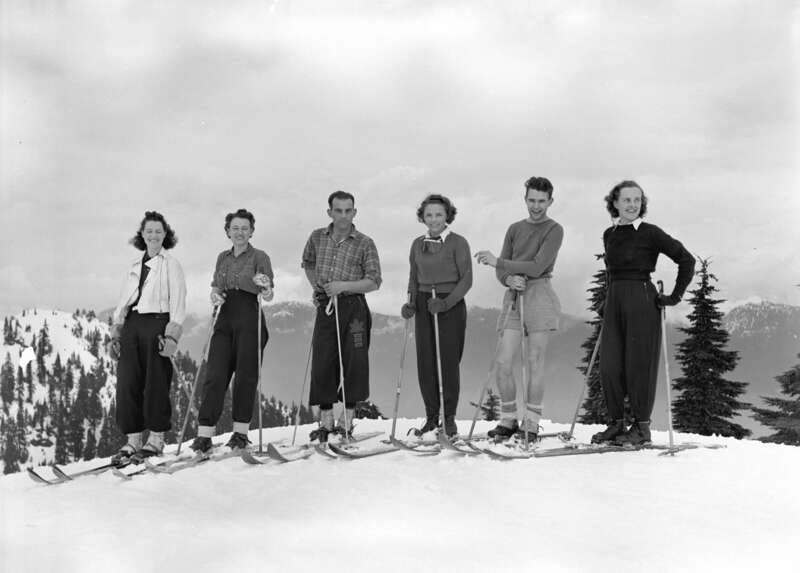 Archives# CVA 99-1994 & 1940: Grouse Mountain. Archives# CVA 586-117. 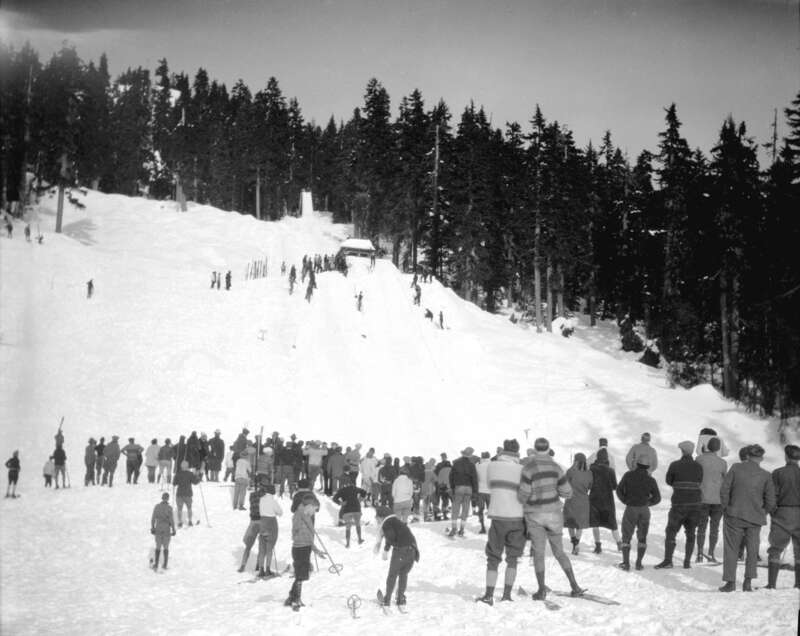 1920: Grouse Mountain. Archives# CVA 99-1989. Stuart Thomson Photos. 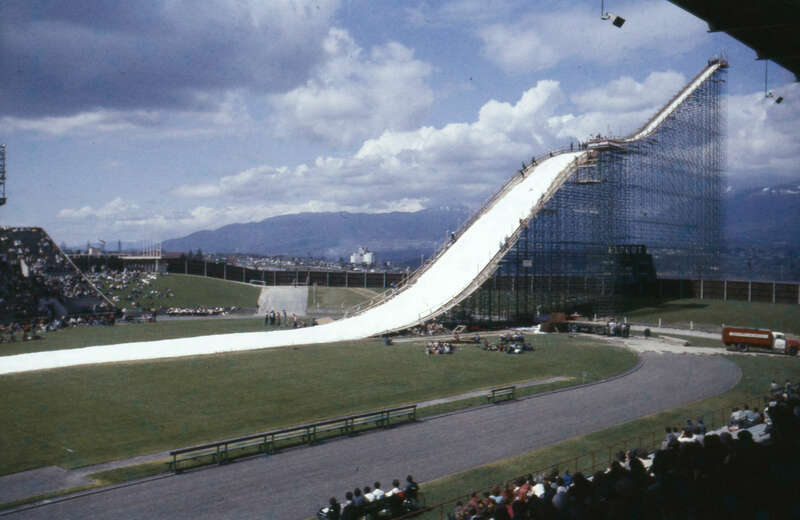 1958: Empire Stadium Ski Jump. 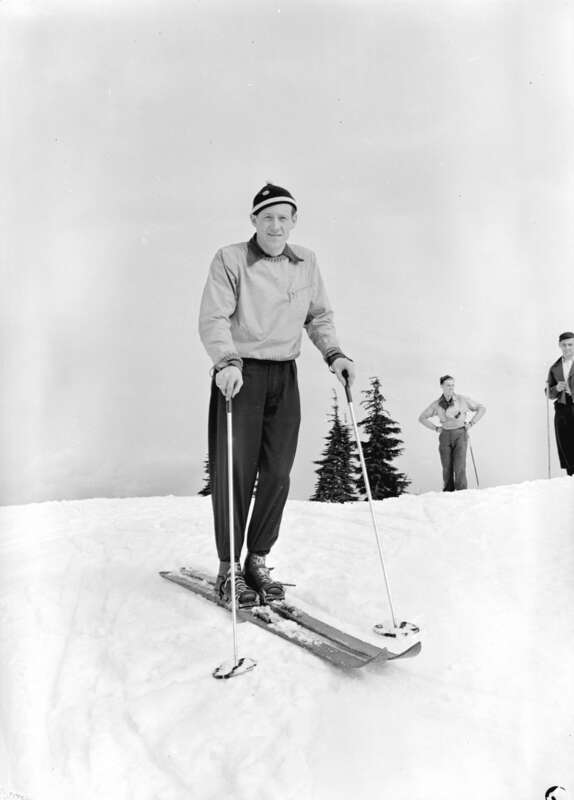 Photo: Leslie F. Sheraton. Archives# 2008-022.007.